After WBA heavyweight champion Alexander Povetkin defeated Cedric Boswell December 3 in Helsinki, WBO cruiserweight champion Marco Huck took to the microphone to challenge Povetkin. It's no secret the Povetkin camp wants a fight with Huck almost as bad as Huck does, and the two sides were able to come to terms for a bout. "I want to do what no other German has managed since Max Schmeling," Huck said after the agreement. "I want to be heavyweight world champion. I am totally motivated and will give everything I have got to reach that goal." Will Huck have to wait? Huck appears to have talked his way into the fight he wanted, getting Povetkin to accept the challenge causing the Russian to change his plans. The agreement calls for the fight to take place February 25 in Stuttgart, Germany. Sounds like a done deal, right? Not so fast. Povetkin's fight with Boswell was already an optional for him, meaning he might have a harder time convincing officials to grant him another. 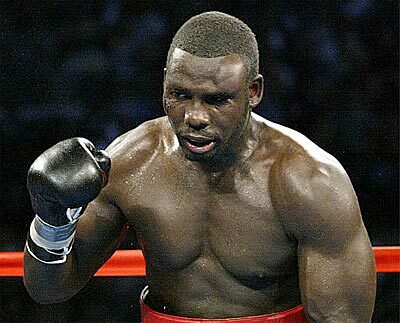 Povetkin has a mandatory challenge on the docket in the person of Hasim Rahman, whose camp doesn't seem interested in stepping aside. Rhaman and his promoter, Greg Cohen, are reportedly frustrated that Povetkin has agreed to fight Huck instead of scheduling the mandatory bout. "Rhaman is Povetkin's mandatory, Povetkin already had an optional defense against Cedric Boswell," Cohen said. "I have the letter from the WBA. Povetkin has until February 27 to fight against Rhaman. The only way they could fight Marco Huck is if we stepped aside and we're not stepping aside." Premium cable network Epix is reportedly negotiating to broadcast the fight in the United States, as things seem to be moving forward. The decision on whether or not to force Povetkin to face a mandatory with Rhaman is likely to come down soon. However this one pans out, Povetkin's destiny, if he wins, likely finds him earning a bout with someone named Klitschko.